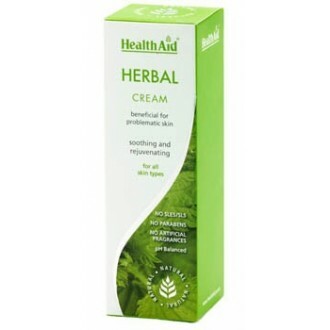 What is Herbal Cream for? Herbal cream is specially formulated using high quality Neem, Tea Tree, Arnica, Rosemary and Peppermint oil, along with Aloe Vera, natural Vitamin E, Vitamin A and Zinc which work synergistically to help treat problematic skin, and is especially useful for treating chronic skin conditions, dermatitis, eczema and psoriasis*. It is readily absorbed, non-greasy and helps to soothe and moisturise the skin*.